If there's one thing Cape York isn't lacking in, it's landscapes that'll stun the smile permanently onto your face. The best way to get a full appreciation of these is to get right among them and set up camp. When you're travelling remotely, it's often tempting to push on a couple of hundred kays, to reach the campground with toilets and hot water. I get it – it's hard to beat a cold beer after you've washed the red dirt off. 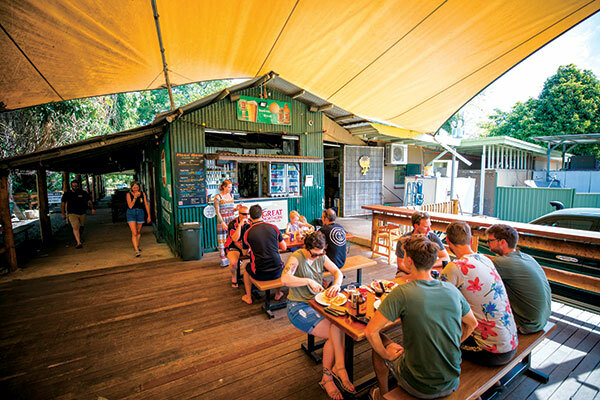 However, bypass some of Cape York's purest beachside free camps, and you'll deny yourself the chance to enjoy Mother Nature's bounty fresh from the source. Mutee Head is one such place. Located about 20km west of Bamaga, we headed straight here after crossing the Jardine River Ferry. Thought you couldn't get further off the beaten track? Well, you can after you turn off to Mutee Head from the “main drag”. If you don't have a 4WD, you're not getting in. If you do though, you'll give yourself a pat on the back for making the effort when you glimpse the pure white sand of the empty beach. Where we set up, I saw only one other small group of campers, and they were a fair distance away. One thing's for sure, there's privacy here. By the time we actually got to the famous sign proclaiming, “You are standing at the northernmost point of the Australian continent”, we were like a group of weary hobbits and elves who had been on a quest across Middle-earth battling orcs. We'd covered so much ground and watched the landscape change so many times, that it seemed impossible that we'd been away less than two weeks. The sense of achievement was satisfying as we stood on the rocky headland and watched the waves crash. When you get here, take the time to appreciate the landscape and the trip you've undertaken. Photos with the sign were a must, proof that we had made it. In order to get here, we'd battled mud, sand, water, dust holes, cane toads, and each other. This was time for back slapping and photo taking, and of course, time to sit quietly and ponder how fortunate we are to live in such a vast and beautiful country in which a journey like this is possible. When you get here, take the time to appreciate the landscape and the trip you've undertaken. SEE SOMETHING YOU NEED? BUY IT NOW! Unsurprisingly, the further north you go, the distance between the shops increases, and the harder it is to get supplies. When we got to Bamaga and I realised the tiny supermarket stocked Nippy's iced-coffee, you best believe I stocked up the Wrangler's fridge in such a fashion that my co-travellers were grumbling about the lack of space for you know, necessary food. 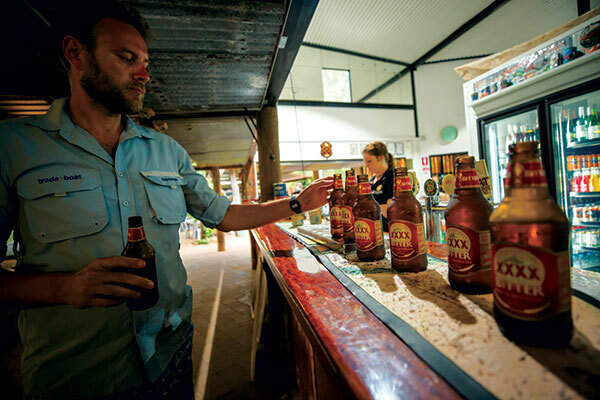 After you cross the Jardine River on the ferry, Bamaga and Seisia are your main options for stocking up. In Bamaga you'll find a petrol station, supermarket, pharmacy, a great bakery (more on that later), and a shop where you can buy souvenirs, ice-creams, Avril Lavigne CDs, and thongs. Thank the gods too, because I busted a plugger running to convey comms on the Old Tele Track, and it had been an uncomfortable few days ever since. 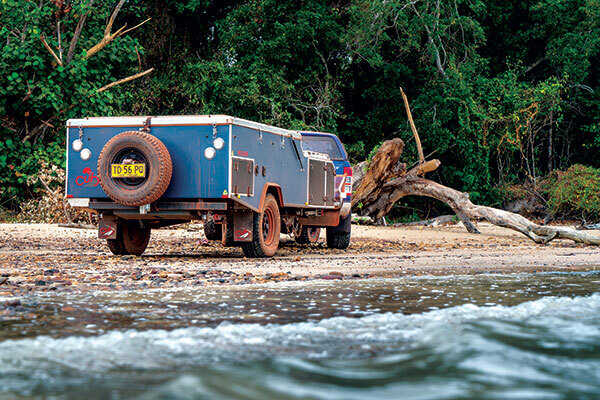 Though you'll no doubt have a supply of essentials already in the back of the 4WD, Bamaga and Seisia are a welcome sight for a treat or two. This is a slight exaggeration, but as with any beautiful and remote landscape, there's a healthy dose of danger with the delights. The obvious of course are the salties, although there's a plethora of snakes and spiders that are more than ready to make your trip a misery should you get in their way. What I wasn't prepared for though, was the possibility of being trampled to death as I slept, by rogue horses. It was up near Bamaga at Loyalty Beach Campground at the tail end of our trip, where we were fortunate enough to be able to set up camp and stay put for a few days. I snagged the tent for myself, forcing the others to remain in their swags under the stars. I'd seen signs around that warned of wild horses, but didn't pay them much notice. That is, until I heard galloping coming towards my tent in the middle of the night. I froze, the sound was so fearsome that I suspected it was the Four Horsemen of the Apocalypse themselves coming for me as punishment for stealing the last yoghurt from the fridge in the back of the Wrangler. I dared take a peek out of my tent, and saw two of them. Equine tyrants, their nostrils flaring as they stalked ever closer to our campsite. To be fair, my standards for what would pass as a top meal were lowering as the days wore on so it wasn't going to take much to blow my mind. However, believe me when I say the fanfare over the pizzas at Cape York Camping Punsand Bay was well deserved. After a full day of shooting campers on the beach, campers crossing rivers, campers driving the tip, campers parked on the beach at the tip – you get the idea – the crew was famished and in need of some substantial fare. Punsand Bay offers accommodation, pizza, and a well-stocked bar, along with a swimming pool for a refreshing dip. We were similarly rewarded when we reached Loyalty Beach Campground. This gem of a spot boasts a relaxing beer garden overlooking the water, and after a busy day's shooting, it was the place to nurse a cold beer and watch the sunset. You'd be a fool not to sample the dishes the kitchen here dishes up. Fancy fish and chips? No problem. Loyalty Beach dishes up serves so generous you''ll be sneaking it back to your tent later for a midnight feast. And after days of servo pies and burgers, I was beside myself when the famous fresh prawn buckets appeared on our table. Also, a hot tip from me: get thee to the Bamaga Bakehaus. Their range of pies is vast, the fillings tasty, and the pastry flaky. The added bonus is everyone is quiet in the car when eating a pie. 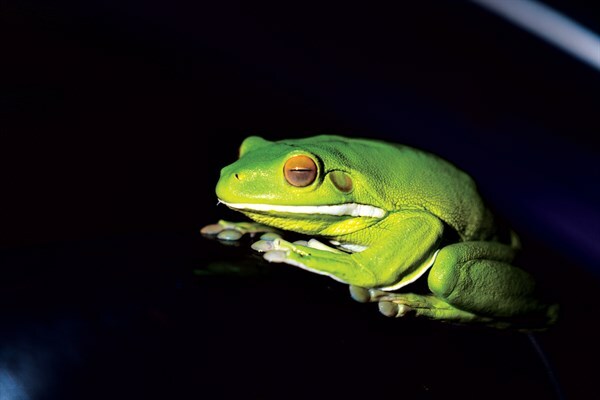 Cape York's landscape is undeniably magical but one of the most important lessons you can glean from it is an understanding of the connection the traditional owners have to the land. 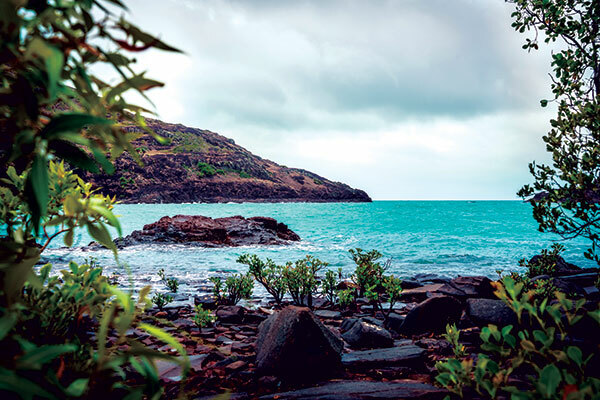 There are indigenous communities with diverse histories and culture all over the Cape York Peninsula. 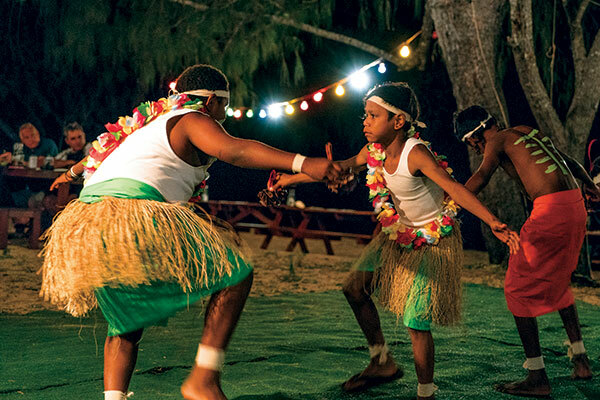 During our time at Loyalty Beach we were lucky enough to see a performance from young indigenous dancers from the nearby community of Seisia, along with traditional song and storytelling of their community's history. Another benefit were the historic discoveries along the way. There's a number of WWII aeroplane wrecks that can be found in the surrounds of Bamaga, including the wreckage of a DC3 aircraft which crashed in 1945 claiming six lives. 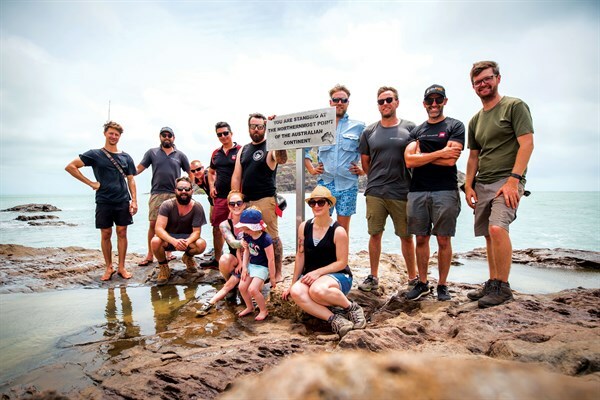 There's no question that your Cape York adventure will test your patience, your appreciation of your family (or co-workers) and the hardware of your vehicle. However, even as you're digging out the 4WD with Max Trax, remember to stop and look around you. Every moment here is worth remembering. Check out the full feature in issue #121 of Camper Trailer Australia magazine. Subscribe today for all the latest camper trailer news, reviews and travel inspiration.